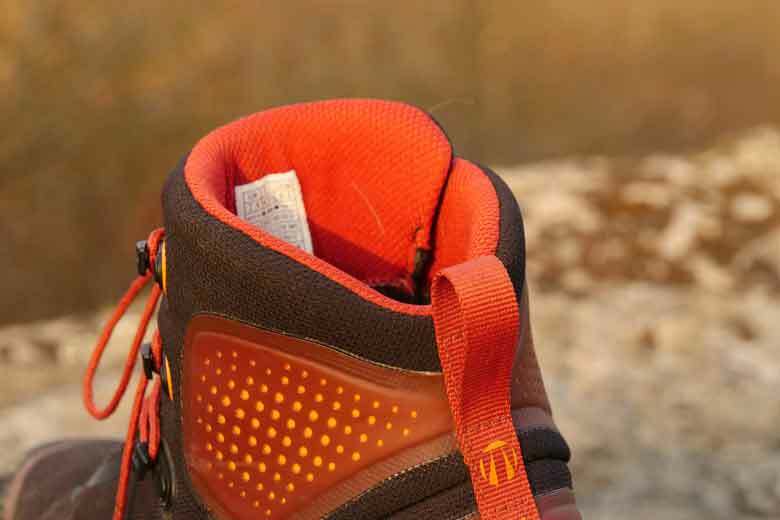 The Tecnica Forge S GTX is a medium-high hiking shoe and suitable for everyday hikes to serious backpacking. Read the review or watch the video! 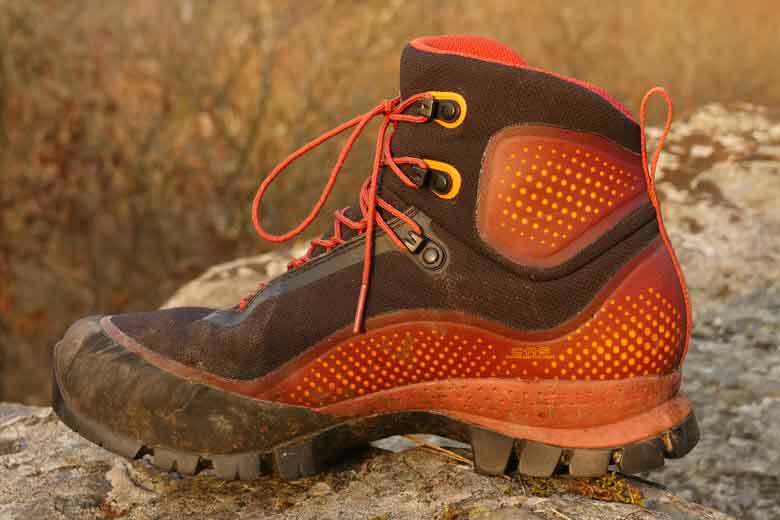 The Tecnica Forge S GTX is a medium-high hiking shoe and suitable for everyday hikes to serious backpacking. The special feature of the shoe is that it has no tongue as we normally see it in shoes and that the fit can be adjusted completely to your feet. That does Tecnica by using an ‘ oven ‘. But let me start at the beginning of every shoe: the last. The fit of a shoe is determined by the readings, say the mold why a shoe is made. As a shoe manufacturer you can choose to make a very general reading where each foot fits in. At Mountain shoes you don’t see this very often and have a very own fit. Tecnica has gone a step further in his own words. They have a new read designed with a higher foot arch (which is hollow under your foot) and a much rounder heel. A best specific fit and to make that fit suitable for much more feet, they have a thermoplastic material. Thermoplastic material is a material that responds to temperature. In this case it becomes smooth when it gets warm and stiffer when it cools down. So you can form a shoe to the shape of a foot. 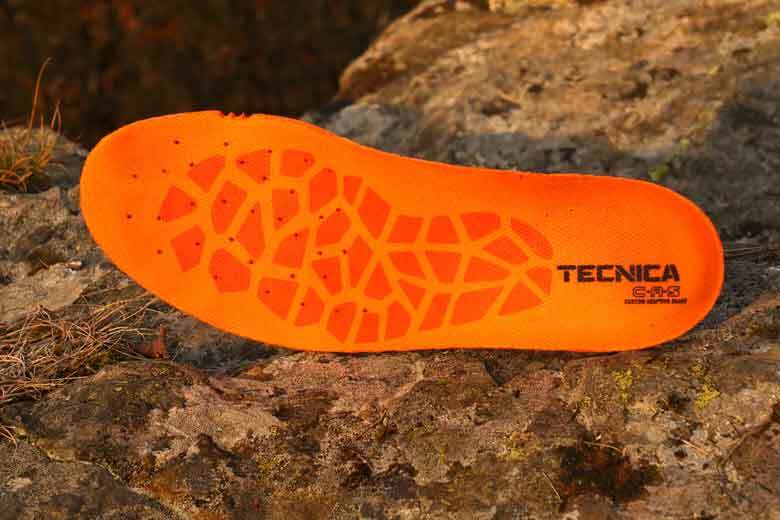 All orange parts in the shoe are equipped with this material and the insole are also thermally deformable. 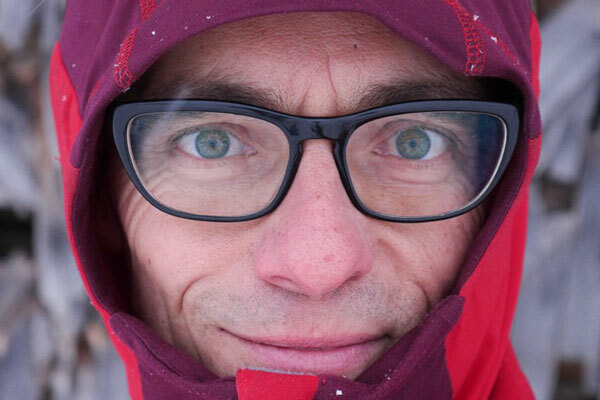 For ski boots and hip belts of some backpacks, this distorting under heat has been done longer. And hard is not hard in the sense of hard plastic. 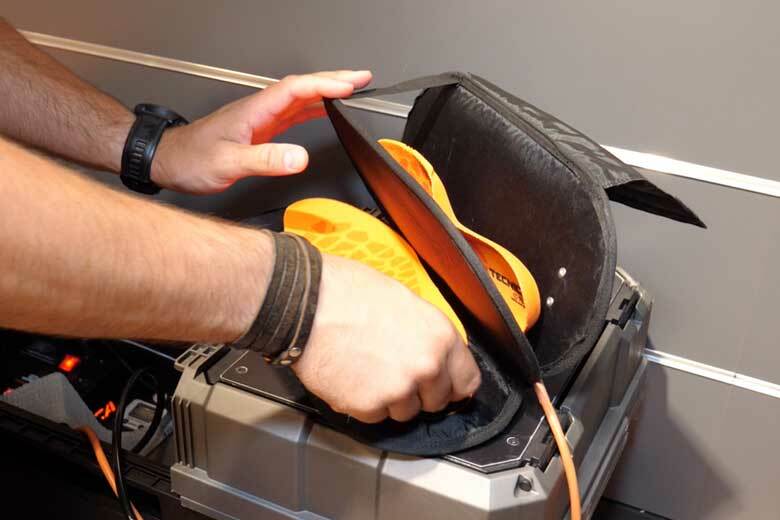 Because the engineers of Tecnica wanted to use thermoplastic material, the top of the shoe had to be adjusted as well. And that had consequences for the tongue construction. Normally a tongue is a ‘ loose ‘ part in the shoe that you can expand forward. The latter is mainly to facilitate the entry-level. The disadvantage of a tongue, however, is that he can sit down quite a bit while walking. That is precisely the reason that a tongue is often fitted with a hook. This allows you to keep him beautiful in the middle of the shoe. In the Tecnica Forge S GTX The tongue is not loose; At least not at all. Only the outer side is made loose for donning. On the inside, the shaft is a whole so that thermoplastic material can be placed here. Additional advantage: The tongue can never be skewed. For ‘ my ‘ test shoes I have an appointment with Bas Van Tecnica importer TCK Sports Group at their office in Leusden, because there is an ‘ oven ‘ to bake the shoes. Officially this is called the C. A. S system: Custom adaptive Shape. Normally you do this of course at a Tecnica dealer who has such an ‘ oven ‘. Now it is not nearly the case that every Tecnica forge S GTX should be in the oven; The shoes are of course designed so that they actually sit out of the box by default. This is actually the case with me, but to take the test on the sum I do the whole process. The first step is of course to determine the right size. Then the insoles go out of the shoes and they go into a kind of glorified sandwich iron. There the soles are warmed (80 degrees) and once at the temperature they go into a sock and the sock goes to my feet. And those feet then go into two inflatable pockets. Compare those bags with a blood pressure monitor. By pumping pressure into the pockets, the soles are made in the shape of my feet. While all this is happening, the shoes are also brought to the temperature. After a few minutes, the soles are in shape and cooled and the shoes are taken up now the process repeats itself. The cooled soles go into the shoes, my feet go in the warm shoes and bass vetert the laces comfortably tight. Then my feet with shoes disappear into the bag that is put on pressure where the thermoplastic material moves to my feet. After a few minutes, the shoes are also ready and the Tecnica Forge S GTX is literally cast. Ok, custom forged. As far as the baked process. The top of the Tecnica Forge S GTX is made entirely of light weight plastic materials. The weight of 586.8 on my scale (Tecnica gives 585 grams) fits neatly. The top is stretch with TPU panels. This TPU (thermoplastic polyurethane) protects the wear-sensitive spots around the ankles, heel and shaft and also ensures some firmness. The TPU spots correspond in colour to the spots where the thermoplastic material is. 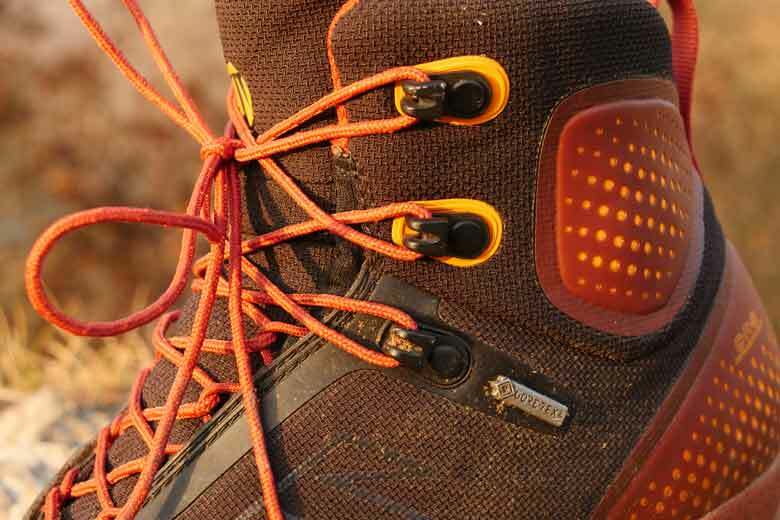 The lace eyes on the instep are nylon loops and on the shaft are metal hooks. Nylon eyes are in practice as durable as metal eyes, but this aside. 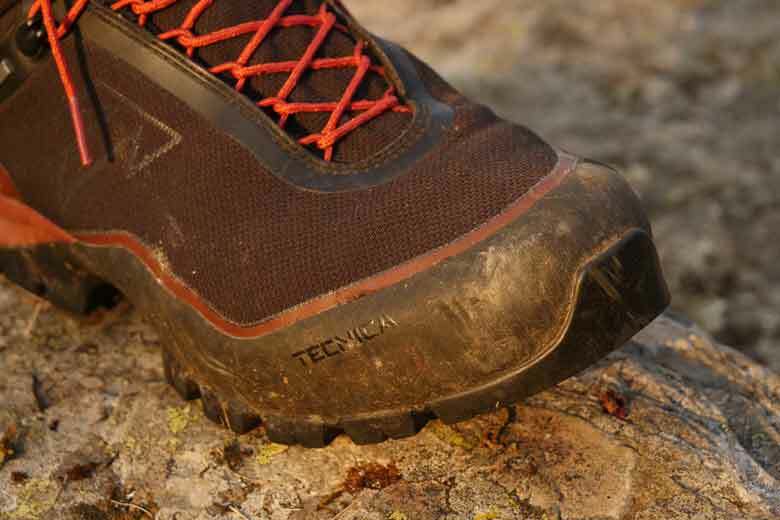 To make the shoes waterproof and breathable, the Tecnica Forge S GTX is equipped with a Gore-Tex membrane. I mentioned all the TPU pieces that provide protection and firmness, but also for the rest the Tecnica Forge S GTX are well put together. The nose has a lot of protection and also the heel is heavily carried out in that respect. The sole construction is the same. The sole has a nice banana shape which makes it easy to land (toes on the ground) and settles (the heel). Furthermore the sole has its bending point nicely under the front foot. All this comes to good walking comfort. The heel – and this is no different – is perfectly fixated, so you won’t have to slide at the back. That minimizes the likelihood of blistering. The connection between the front foot and the heel – the shank – is extremely solid. In short: Technically the shoe is beautifully assembled. 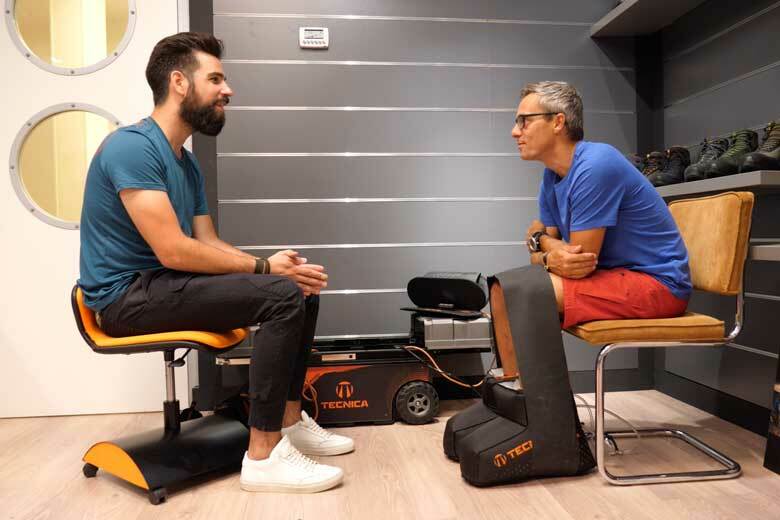 The running sole under the Tecnica Forge S GTX comes from Vibram and is made especially for the Tecnica and that explains the name: Vibram Forge. The running sole is made with Vibrams mega grip compound. Between running sole and shoe is an EVA damper that needs to absorb shocks. The running sole under the Tecnica Forge S GTX is from Vibram and has been developed especially for the Forge. Donning the shoes is pretty easy. The special tongue construction and the fact that the shoe is reasonably stiff, make sure that you have to keep the shaft well open. On the back is a treklus and it proves good services. A big advantage of the semi-solid tongue also makes you quick: you don’t have to make any effort to straighten the tongue. Dense lacing is easy, though I find the lace itself on the too thin side. Dun says nothing about the strength, well about how pleasant my fingers find the laces when donning. The length I find downright awkward. I have to lay double bows to not have very large loops next to my shoes hanging. After publishing this story I probably cut them off and burn the ends nicely. 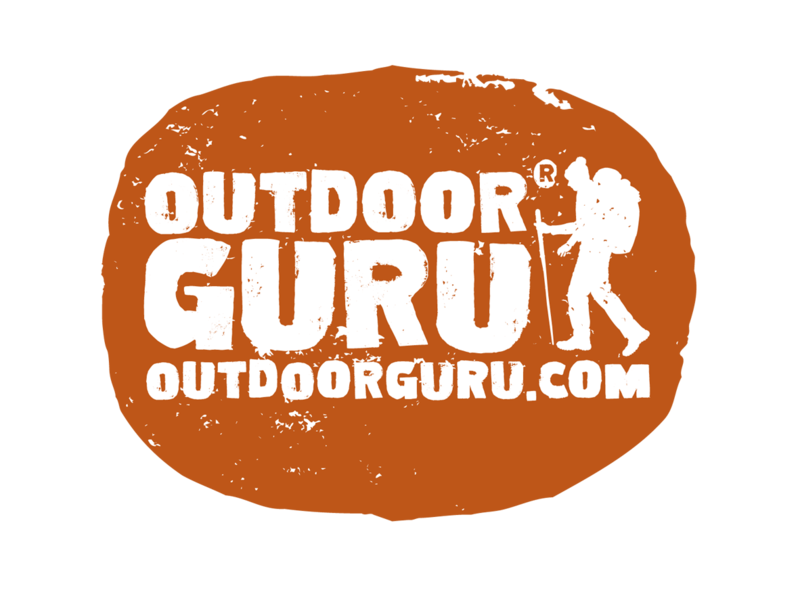 ecause of the somewhat cramped entry of the Tecnica Forge S GTX, the tab is very welcome. The Tecnica Forge S GTX are very pleasant. I found that out of the box without making it custom, but with… it just gets better. My ankle bones fall neatly into the thermoplastic material and the heel is the same. 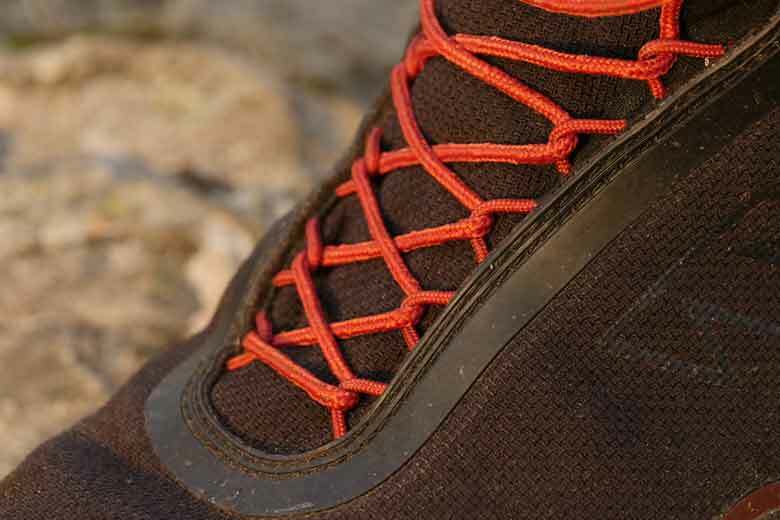 With the lacing on the right tension the front foot is also comfortably clamped. The tongue is very sturdy but softly padded on the inside. Fine. The cushioning of the sole is pretty hard and I like that because it gives a very sure feeling. But you’d rather run on Nike Air…. Then the Tecnica Forge S GTX is not for you. The shoes are so sturdy that they are an excellent platform for walking in the northernmost over awkward paths with a backpack of about 15 kg. Also climbing is not a problem. 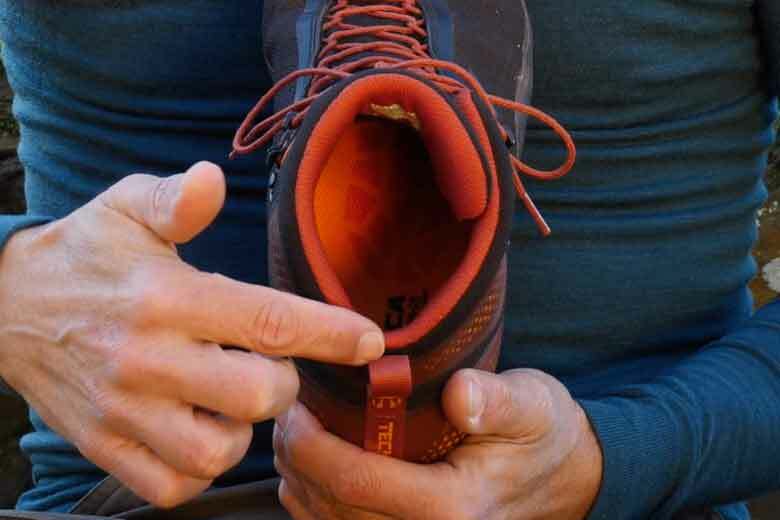 The tip of the sole fits fine on small pieces of rock and I can pry the nose just fine between a few rocks without pinching my toes. Also by the sole you do not feel stones or rotspunten. The sole gives a lot of grip on wet and dry substrates. However, the profile is rather susceptible to mud; It stays easy. 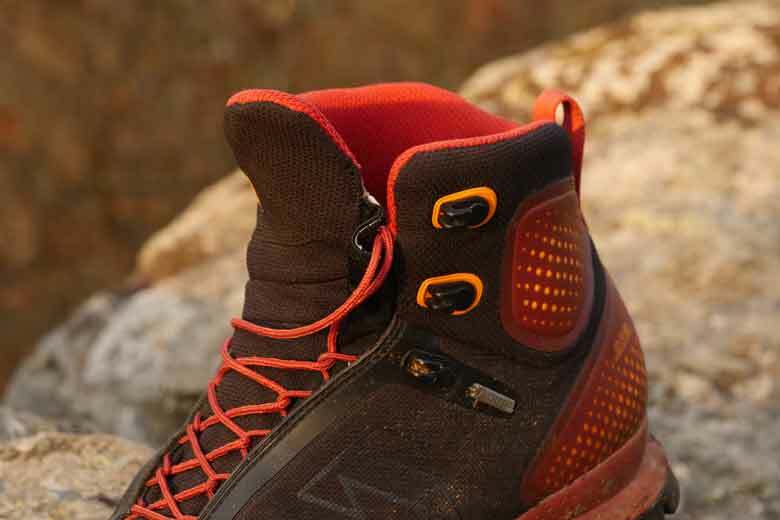 Rhinestones – they are finally mountain shoes – then not again. The shoes have proved to be watertight in practice. 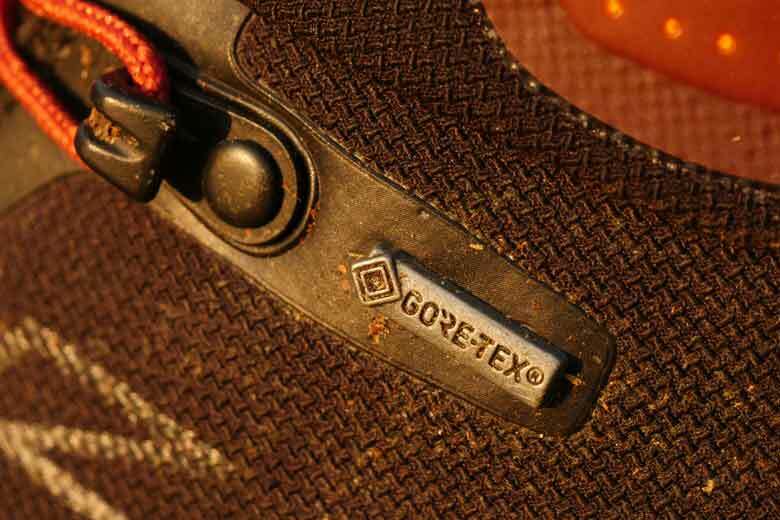 The breathing effect of the Gore-Tex is with colder weather – say under 15 degrees – just fine. In a little warmer weather I did suffer from sweaty feet. This will be advantaged by the fact that the outside is properly covered by – albeit perforated – TPU and protection edges. After three months of use, there is still no real wear. 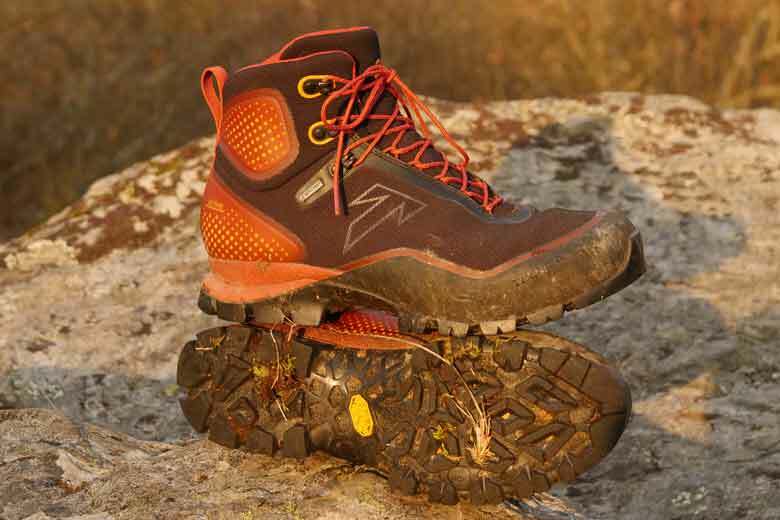 The Tecnica Forge S GTX have a delightful fit that suits my feet. Thanks to the thermoplastic material and the ‘ tailor made ‘ this only improved. Like the special tongue. The shoes run firmly but comfortably. 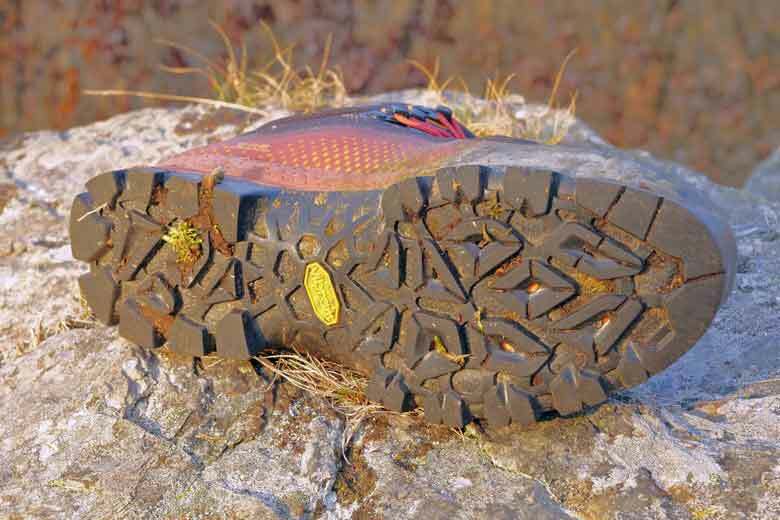 They are a solid platform for walking in the northernmost over awkward paths with a backpack of about 15 kg. The sole offers a lot of grip on wet and dry. Pebbles don’t stay in there, mud though. The laces I find too thin and too long. They are waterproof and with warmer weather I had a bit of sweaty feet. The weight is neat. The price of €274.75 I find quite rightly given the customization. The Tecnica forge S GTX scores 8.6 out of 10 points.